This weeks topic the so called Superresolution or HiRes mode which meanwhile is implemented into some cameras from Olympus and Panasonic. With this mode a couple of images are captured which are out of alignment by just a couple of pixels. This procedure can be done with Photoshop CC so you can generate images with 80Mpix and even more depending on the size of the base images. But too shorten it a little bit the results with this method done in Photoshop CC are not worth the effort you have to cope with. If you need an image with a larger size for printing this can be done with a single image and enlarging the size with Photoshop. With the superresouliton method the details in the image are as sharp as expected. And by the way doing this with Photoshop CC or with a built-in function in your camera there shouldn’t be any movement in the images. Besides the monthly patchday Microsofdt made negative headlines concerning the free choice of the brwoser you’ll use as a favorite. There is once in a while a pop-up in Windows 10 telling me how good Mecrosoft Edge is or whiole its faster than any other browser this is acceptable, but annoying. But there are some message about Microsoft interrupting the installation of other brwosers, at least in the latest preview. This is not acceptable and maybe some of you remember the competition procedure by the EU commision concerning the Internet Explorer. Hopefully this “feature” will not find its way into the final version. And of cource this week was determined with the discussion about the new mirrorless cameras from Nikon and Canon. The later one seem to disappoint a majority of Canon users, because Canon missed the opportunity to catch up maybe with Sony. 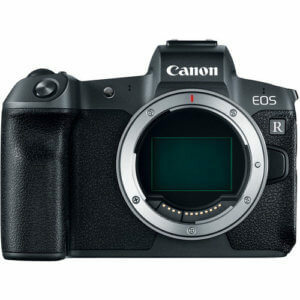 And we have to wait which lenses will be available for the new EOS-R. Right now i miss a ulta wide angle zoom like a 16-35mm or something like that and a medium telephoto lens in the range of 70-(3)200mm. A 28-70mm/2.0 or a 35mm Macro is a little unhandy for those who want to switch to the new camera. But anyway this was an interesting week and I hope you like the blog posts and i’m looking forward to your questions and comments.